I have a confession to make — I’ve completely ruined the surface of my nails this year. …Twice. 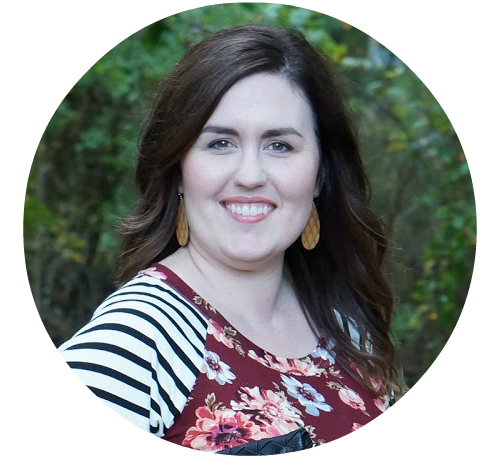 I’ve used a couple of press-on products that I love, but I didn’t remove them properly (both times! I’m so impatient!). I’ve been dealing with super dry, cracked nails since July. 🙁 A long time ago, I used the Mary Kay Cuticle Cream to keep my nails moisturized. I contemplated getting that again, because it’s pretty amazing, but when the Sephora VIB sale rolled around I found something else to try. 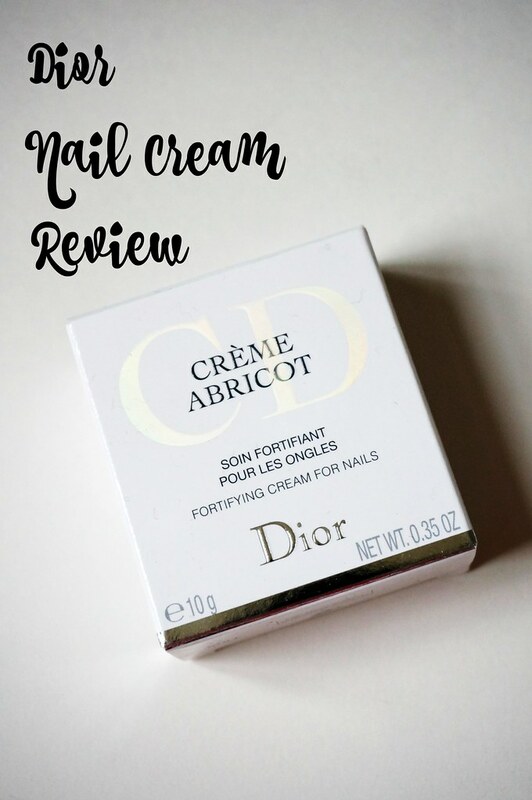 Enter stage left: Christian Dior Abricot Nail Cream. 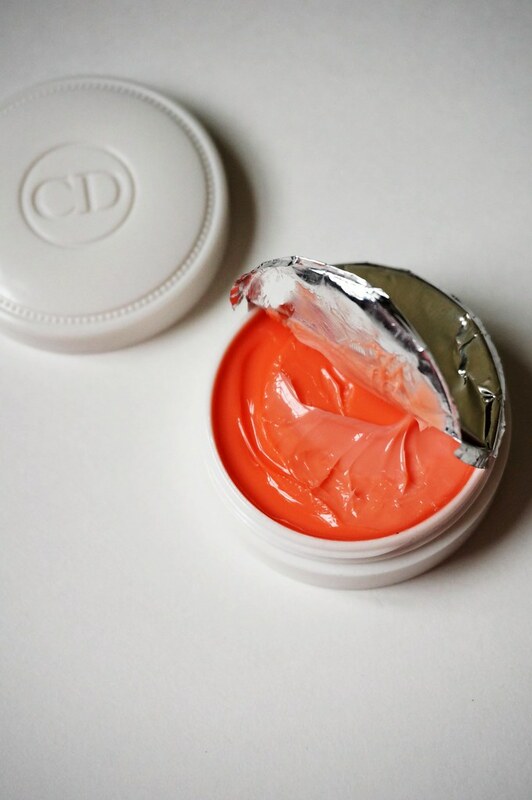 Last year, I purchased the Christian Dior Creme de Rose Lip Balm and was very, very impressed. I still have a little left in the pot, but I’m using it very slowly. It’s a pretty pricey balm, but it makes my lips so moisturized I can justify the price. 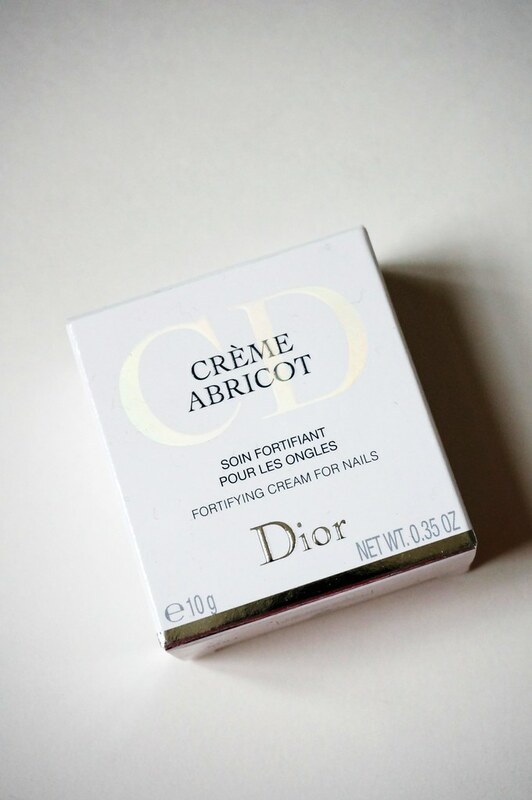 When I was looking for a nail cream to try, this Abricot Nail Cream popped up in my Sephora search. I’ve been using it for a couple weeks (I didn’t open it until I recorded my huge Sephora haul), and the results with my nails have been immediate. You need a teeny tiny smidge of the product for each nail, so this is going to last a long time. I am keeping the foil on the package, so it won’t dry out. It does not have a strong scent, which I appreciate. It fully moisturizes my cuticles and nails. After I apply it, my skin feels a little greasy. This is the last thing I do before I go to sleep, to avoid getting anything greasy. When I wake up, my nails and cuticles look perfectly moisturized and healthy again. Throughout the day, my nails do look dry again. But, I wash my hands quite a bit. I can say that each day my nails/cuticles have looked less dry. So, I know this is working! Very slowly, I will get my nails back to normal…. Lesson learned, remove nail products properly! And if you don’t, use this!! i completely recommend this product if you struggle with dry nails and cuticles. At $27, it’s pricey but this will last a long time. 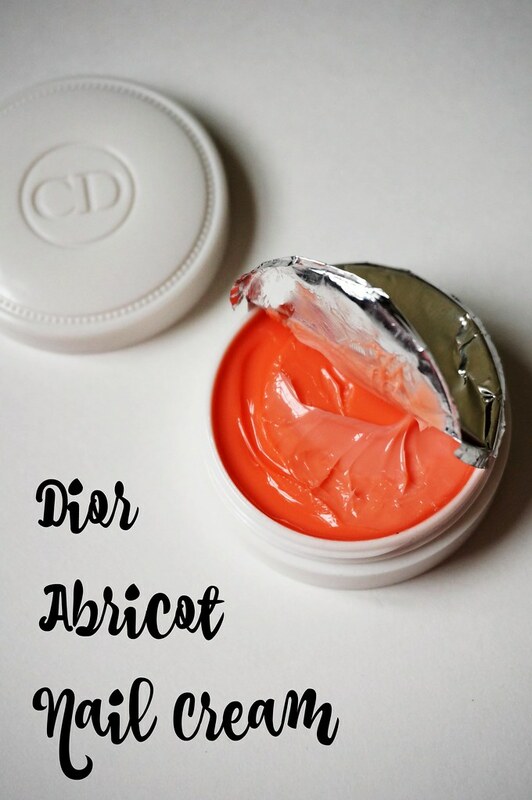 My Dior lip balm has lasted me over a year, and I think this nail cream will last even longer!